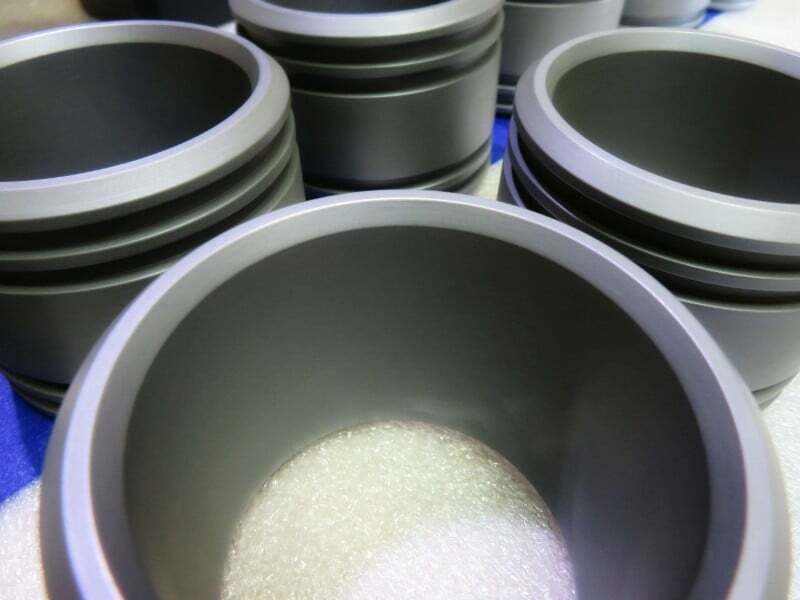 Molybdenum Disulfide Coatings (MoS2 coatings), also known as Moly Coatings are commonly used in applications where load carrying capacity, operating pressure and coefficient of friction are primary concerns. This coating provides effective lubrication in a wide range of loads, in many cases exceeding 250,000 psi. Moly coatings lubricate sacrificially by transferring lubricant between the two mating surfaces, which helps to reduce wear and coefficient of friction. Molybdenum Disulfide (MoS2) coatings are a dry film lubricant. Moly coating is a combination of molybdenum disulfide lubricant and high performance resins. Molybdenum Disulfide coatings are thermally cured and thoroughly bonded to the base metal of the coated part. Uses for molybdenum disulfide coatings include applications that require a lubricant that is more unreactive when in use, and remains sturdy. We offer Molykote coatings, Everlube coatings, Lube-Lok coatings, Perma-Slik coatings, Ecoalube coatings, Ever-Slik coatings, and more. Wear life (ASTM 2625 A) 250 min. Salt Spray Resistance (ASTM B117) 500 hrs.